With his insightful and wide-ranging theory of recognition, Axel Honneth has decisively reshaped the Frankfurt School tradition of critical social theory. Combining insights from philosophy, sociology, psychology, history, political economy, and cultural critique, Honneth’s work proposes nothing less than an account of the moral infrastructure of human sociality and its relation to the perils and promise of contemporary social life. 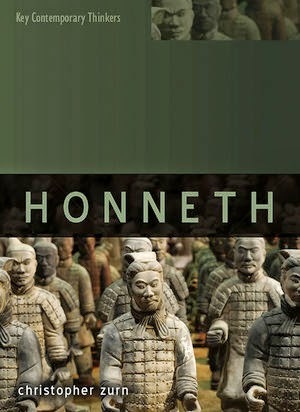 This book provides an accessible overview of Honneth’s main contributions across a variety of fields, assessing the strengths and weaknesses of his thought. Christopher Zurn clearly explains Honneth’s multi-faceted theory of recognition and its relation to diverse topics: individual identity, morality, activist movements, progress, social pathologies, capitalism, justice, freedom, and critique. In so doing, he places Honneth’s theory in a broad intellectual context, encompassing classic social theorists such as Kant, Hegel, Marx, Freud, Dewey, Adorno and Habermas, as well as contemporary trends in social theory and political philosophy. Treating the full range of Honneth’s corpus, including his major new work on social freedom and democratic ethical life, this book is the most up-to-date guide available. Christopher Zurn is Associate Professor of Social and Political Philosophy at the University of Massachusetts, Boston. He is the author of "Deliberative Democracy and the Institutions of Judicial Review" (Cambridge University Press, 2007). * "Anthropology and Normativity" (2000). See my post on Axel Honneth's book "Freedom's Right" (2014). John Rawls's influential theory of justice and public reason has often been thought to exclude religion from politics, out of fear of its illiberal and destabilizing potentials. It has therefore been criticized by defenders of religion for marginalizing and alienating the wealth of religious sensibilities, voices, and demands now present in contemporary liberal societies. In this anthology, established scholars of Rawls and the philosophy of religion reexamine and rearticulate the central tenets of Rawls's theory to show they in fact offer sophisticated resources for accommodating and responding to religions in liberal political life. The chapters reassert the subtlety, openness, and flexibility of his sense of liberal "respect" and "consensus," revealing their inclusive implications for religious citizens. They also explore the means he proposes for accommodating nonliberal religions in liberal politics, developing his conception of "public reason" into a novel account of the possibilities for rational engagement between liberal and religious ideas. And they reevaluate Rawls's liberalism from the "transcendent" perspectives of religions themselves, critically considering its normative and political value, as well as its own "religious" character. 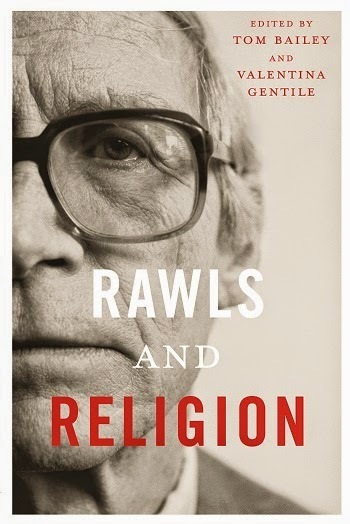 Rawls and Religion makes a unique and important contribution to contemporary debates over liberalism and its response to the proliferation of religions in contemporary political life. Habermas - "The Lure of Technocracy"
Over the past 25 years, Jürgen Habermas has presented what is arguably the most coherent and wide–ranging defence of the project of European unification and of parallel developments towards a politically integrated world society. In developing his key concepts of the transnationalisation of democracy and the constitutionalisation of international law, Habermas offers the main players in the struggles over the fate of the European Union (the politicians, the political parties and the publics of the member states) a way out of the current economic and political crisis, should they choose to follow it. In the title essay Habermas addresses the challenges and threats posed by the current banking and public debt crisis in the Eurozone for European unification. He is harshly critical of the incrementalist, technocratic policies advocated by the German government in particular, which are being imposed at the expense of the populations of the economically weaker, crisis–stricken countries and are undermining solidarity between the member states. 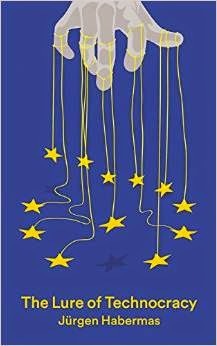 He argues that only if the technocratic approach is replaced by a deeper democratization of the European institutions can the European Union fulfil its promise as a model for how rampant market capitalism can once again be brought under political control at the supranational level. English translation of "Im Sog der Technokratie" (Suhrkamp Verlag, 2013). Five short essays are not included in the English edition. The papers can be downloaded for free. (2) A panel discussion of Piketty's book at a meeting of the American Economic Association, January 3, 2015. A video of the presentations and the discussion here. And papers here. See also my links to reviews of Thomas Piketty's book here. "Außerordentliches Gespür für die Zukunft"
Wenn das den Anschein erweckt, Ulrich Beck sei ein Scharfmacher, so täuscht es vollkommen. Ulrich Beck war ein hingebungsvoller und gewissenhafter Gelehrter, gesegnet mit einem enzyklopädischen Wissen der Sozialwissenschaften. Doch so herausragend er war, so wohltuend bescheiden und zugänglich blieb er, höchst popular bei seinen Studenten. Immer wieder stichelte ich und neckte ihn,weil er nie wirklich den britischen Sinn für Humor mit der typischen Mischung aus Selbstironie und dünkelhafter Überlegenheit beherrschte. Doch ziemlich oft war ich derjenige, der am Ende tölpelhaft dastand. Wenn es ihm passte, konnte er einen locker auflaufen lassen. Er war in der Tat ein Geschöpf der Welt, die er so präzise in seinen Schriften porträtiert hat. Fur die längste Zeit seiner Karriere als Professor in München zu Hause, aber ein eingefleischter Reisender, der in unzähligen akademischen Institutionen rund um die Welt lehrte, ganz abgesehen von seinen seit Jahren zusätzlich wahrgenommenen Gastprofessuren in London und Paris. Seine Bücher wurden in mehr als 30 Sprachen übersetzt, seine Beiträge in Pressemedien in Deutschland, Großbritannien, Frankreich und den USA sind so unübersehbar wie wirkungsvoll. Grenzüberschreitung war seine Lebenspraxis und sein Metier." See also my links to obituaries of Ulrich Beck here. The German sociologist Ulrich Beck died January 1 at age 70 of a heart attack. * "Scott Lash remembers Ulrich Beck"